A rare and unique cardamom, with a strong, refreshing aroma. This Ethiopian cardamom is harvested in the wild coffee forests in Kafa, a UNESCO biosphere reserve, in the southwest of the country. The large, brown pods are dried near an open flame, conferring a slightly smoky flavour. In Ethiopia, it’s used in spice blends like Berberé, and in stews, most commonly with meat. It’s also a common addition to Ethiopian coffee. As with green cardamom, it’s as nice in savoury dishes as it is sweet- particularly desserts with coffee or chocolate. Our Ethiopian cardamom is pre-shelled, but sold with the whole grains in tact. , and in stews, most commonly with meat. It’s also a common addition to Ethiopian coffee. As with green cardamom, it’s as nice in savoury dishes as it is sweet- particularly desserts with coffee or chocolate. 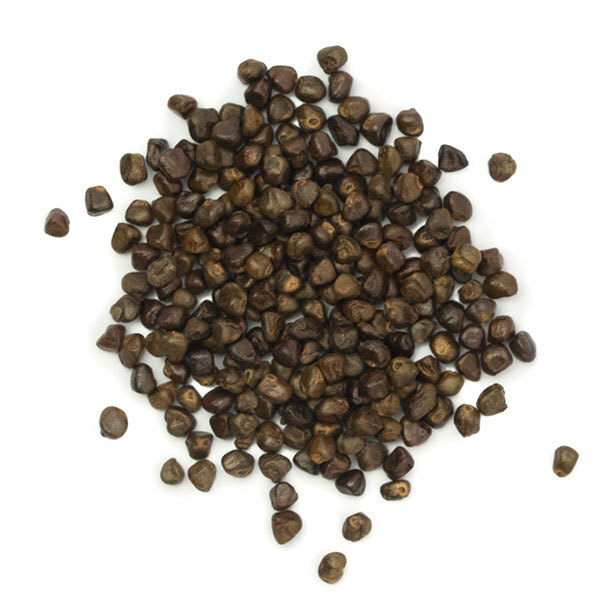 Our Ethiopian cardamom is pre-shelled, but sold with the whole grains in tact.